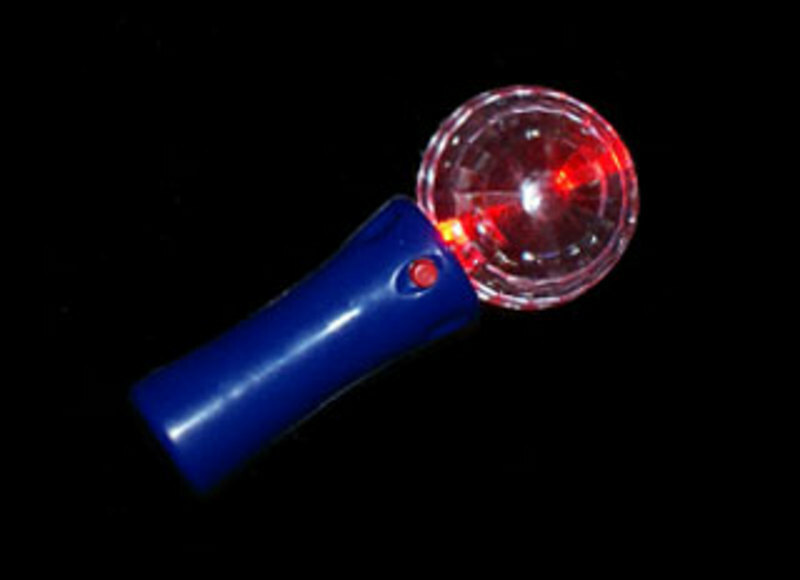 This baton is approx 5" long including a comfortable colourful handle for small hands with a push button switch and a clear plastic moulded ball of just under 2" on the end which acts as a lens to create an amazing patterned light show over a full room, with multi function patterns and multi coloured lights. Brilliant for attracting the attention of younger or disabled children. Supplied with a safety lanyard so can also be work around the neck. Available in Blue, Red or Silver. Ideal stocking filler. 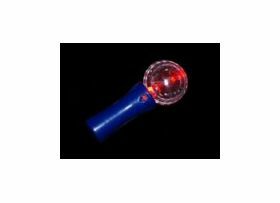 Each requires 3 'AAA' batteries (supplied and replaceable).